Before founding The Canipe Law Firm, PLLC, Jeremy was a partner at a large multi-state law firm where he helped lead their Business and Contract Law team. He also handled a wide range of court cases in North Carolina and South Carolina, particularly in the areas of workers' compensation, personal injury and contract disputes. Previously, Jeremy worked for a large business litigation law firm and the legal department of a major national bank. Jeremy learned a great deal from this legal experience and puts those lessons to work for his clients in his areas of legal focus. 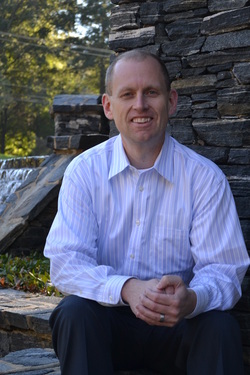 Jeremy grew up in Catawba County, North Carolina and lives in Charlotte with his wife and their two children. Outside of work, Jeremy focuses on his family and is an active member at his local church. He and his wife teach children’s Sunday School and work together with the church’s annual Vacation Bible School. Jeremy enjoys studying the Bible and discussing how to apply the Bible to everyday life, as he tries to live out his faith. Jeremy also serves on the Board for the Cabarrus Business Network. He retains an avid interest in early American and African-American history from his college days and is currently teaching an American Legal History class at the University of North Carolina at Charlotte.